In addition to the Lenovo Phab2 Pro smartphone, the first to feature Google Tango augmented reality, Lenovo unveiled two new Moto Z phones from its Motorola division today at Lenovo Tech World: the sleek Moto Z (which is just 5.2mm thick) and the heavy-duty Moto Z Force. Both phones feature 5.5" QHD displays with a Snapdragon 820 processor, 32 or 64GB of storage (with a microSD slot to add even more), and a fingerprint scanner. Both offer amazing battery life—30 hours for the Moto Z and 40 hours for the Moto Z Force—super fast charging with TurboPower will give hours of extra power in just 15 minutes (8 hours for the Z and 15 hours for the Z Force). The Moto Z features a fairly standard 13MP camera but the Force jumps up to a 21MP camera for some of the best photos you can take on a smartphone. The real difference between the two is the Force's ShatterShield screen, which guarantees the screen won't shatter or crack if dropped. But the real excitement here is with Moto Mods, swappable backs that will snap on to the Moto Z or Z Force to add extra features. It's not the first modular phone we've seen, but it's certainly the most exciting. The LG G5 (available now) offers a single extra device for enhanced camera capabilities and Google is working on super customizable Project Ara phones—but Ara won't even be in the hands of developers until this fall. 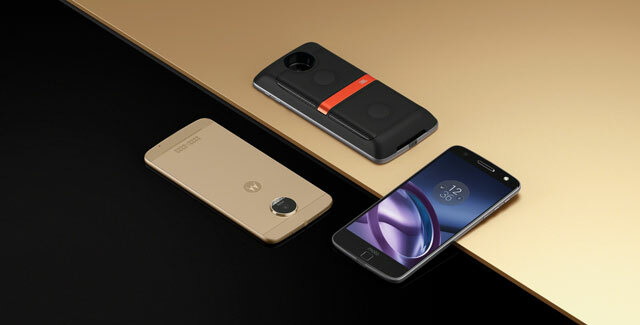 The Moto Z is coming out this summer as a Verizon exclusive with three Moto Mods, all of which are pretty exciting: JBL SoundBoost turns your phone into a serious speaker system, the Insta-Share Projector adds a 70-inch movie projector, and the Power Pack adds 22 hours to the Z's already impressive battery life. All of this is plug-and-play: just snap the mod on and it will work. Even if adding features doesn't strike your fancy, you can change your phone's style with Style Shells that come in a variety of finishes, like wood and leather. Though Moto Z and Moto Z Force will both be available in the US this summer from Verizon, and available globally in September. 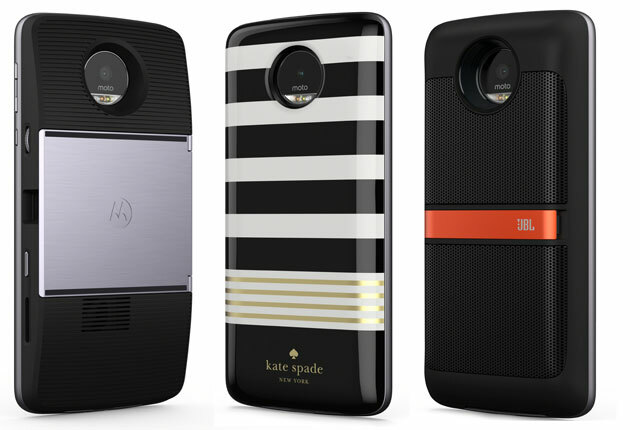 The first three Moto Mods will be available at the same time, with the possibility of more to come.